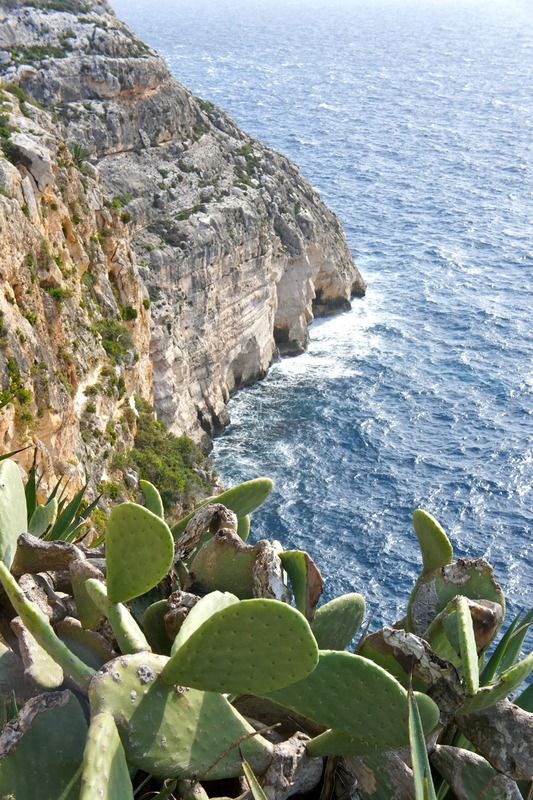 After our walk in Wied Babu we drove a few hundred meters down the street to the look-off point at Blue Grotto. It's pretty spectacular, high on a cliff overlooking the caves and surrounded by plants and the open sea. You can even see Filfla island. Did you know the country of Malta is actually an archipelago? 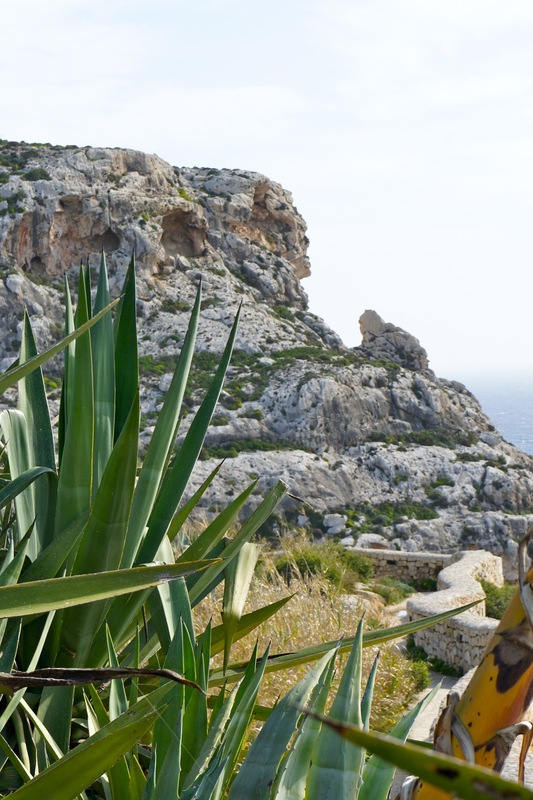 It's comprised of three 'large' islands - Malta, Gozo and Comino - and over twenty smaller islands, including Filfla. So technically we don't live on 'the Rock,' we live on one of many. I bet you can identify most of the plants and trees in the country you live in. Mike and I can do a pretty good job in Canada, but we are at a bit of a loss in Malta. We are starting to teach ourselves what everything around us is, and recently found a (comprehensive!) web site that has proved super helpful (if you're into that kind of thing). 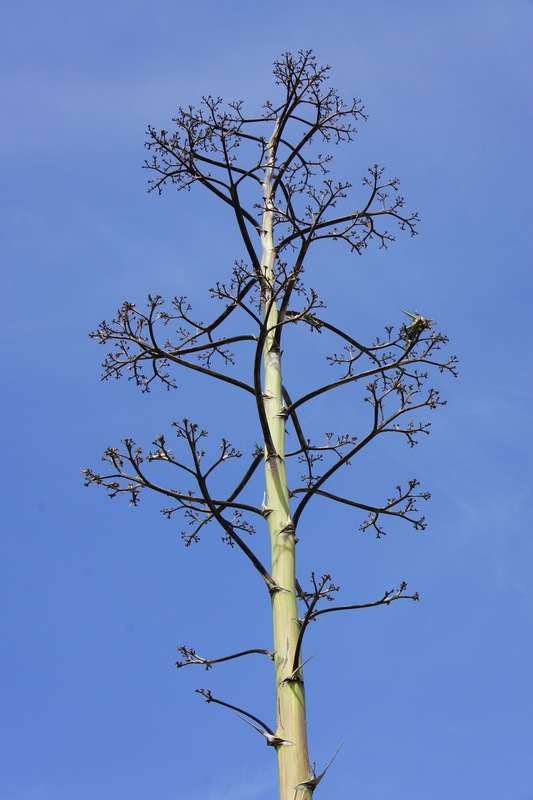 the top of an agave plant. not the tequila kind. which is unfortunate, because these guys get big. like 25 feet high big. 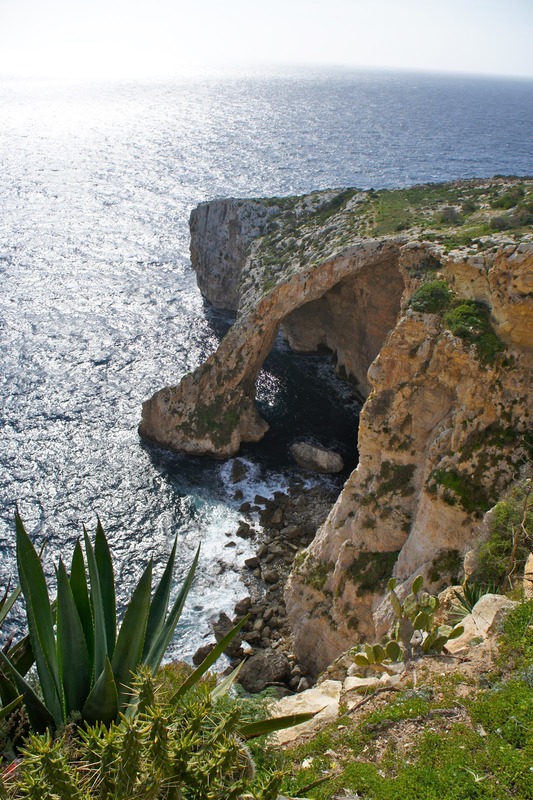 blue grotto, a collection of caves near the village of zurrieq. colour from deep to brilliant phosphorescent blue from sunrise to around 1 pm. filfla island. the british used it for target practice, hence it's odd shape. it is now a protected nature reserve home to (freaky) little lizards that live exclusively on filfla.